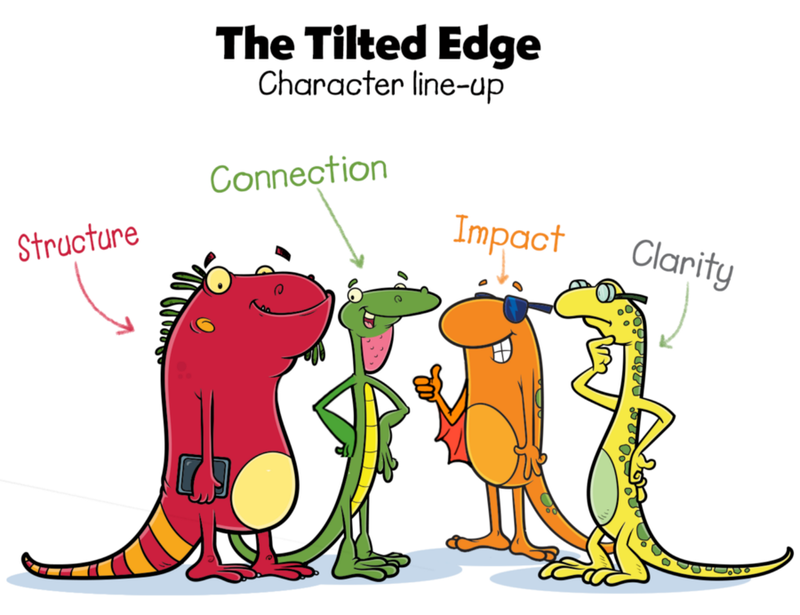 Each week Pam, the founder of Tilt365, and I get together to create our comic strip and blog post. Pam writes the post most weeks and I write and draw the strip (occasionally when things are busy I’ve even been known to write a post or two). The topics vary widely but usually share a common theme based on what we teach. Once we’ve decided on the basic idea for the blog it’s up to me to write a joke for the strip. Some days the idea just falls into my lap other times I struggle all week and wind up blasting out ideas late Thursday evening just in time to make our Friday deadline. Posts go up on Saturday so that means final art has to be done before the end of day Friday. With all the other tasks we have on our plate it can be a real challenge. Writing jokes for a strip is a real art form. It’s all about simplicity and keeping the dialog straight to the point. I have a tendency to over-write and get a little wordy. I guess I just want to make sure everyone gets the joke which is why it’s good to get Pam’s input before we publish. Pam has more faith in the process and is constantly reminding me that less is more. Humor is all about pacing, giving the reader just enough information to understand the joke but not so much they feel like you’re explaining it to them. There’s nothing worse than having a joke explained to you. For each blog post topic, I come up with 3 different strip ideas. Once they are sketched out I forward them to Pam for her review. Since we can only use one the other two are filed away in the idea bin. It’s a great source of inspiration and old ideas often wind up being recycled and rewritten for new posts. I usually have a pretty good idea which sketch Pam will like but sometimes she surprises me. She’s got a great sense of humor and that makes creating the strip a lot of fun. 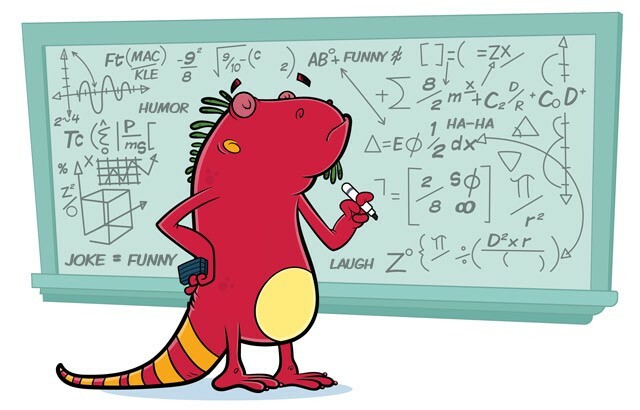 Structure: is a red iguana. He is a bold take charge decision-making kind of guy. He is a stickler for methodical perfection and considers emotion messy. Connection: is a green anole lizard. He is a real people pleaser. Like his name says he is skilled at connecting people. Impact: is a flying orange lizard. His motto is basically, jump first ask questions later. He is quick to act, somewhat impulsive and tends not to worry until later. Clarity: is a yellow gecko. He is a fact finder and is meticulous about making decisions. He would prefer to study all the angles before making a commitment. Our characters have come a long way since we first introduced them. Like with any strip they seem to grow the more we work with them. Sometimes it takes a little while for the more subtle aspects of their character to come out, other time it’s pretty much a pie in the face. Each of our characters represents a different set of specific personality traits. Occasionally we exaggerate those traits to bring out the humor. Each has their own individual personality traits but when I’m writing I tend to think of them all as extensions of my own personality. Most of our strips draw on some kind of personal experience, (exaggerated of course) I’ve had or am going through at the time they are being written.